Charles S. Rivchun & Sons Jewelers has been in business since 1917, so they definitely know which jewelry their customers want to see in the store. They have designer jewels that you will not see at any other boutique in town, as they make sure to offer something different than the usual chain store collection. Not only are their looks unique, but they are also affordable. For wedding rings in Cleveland, there is no better place to shop considering the modern and antique estate jewelry options they offer. The advantages of shopping at Howard’s Jewelry Center are extensive. 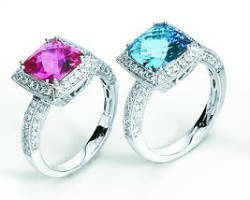 First and foremost this company always has the most current jewelry on the market. In order to do this, they need to constantly rotate their inventory by selling older pieces at incredible discounts. This store also offers better prices on their new inventory as they pass on the deals they get as a large store to customers. Finding the perfect diamond ring has never been easier and within your budget. Todd’s Jewelers has a reputation for having a highly knowledgeable staff, a high-quality collection and great integrity. 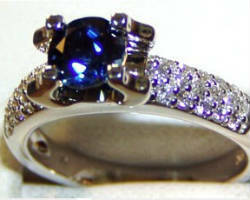 This store works to offer customers a jewelry shopping experience that is relaxed and successful. Searching Cleveland for an engagement ring is a thing of the past when you have these experts to help you. They guide you through the options within your budget and your personal style and if they do not have the jewelry for you in their store, they can custom make it. Offering the finest designer jewelry is the specialty of Rossio & Pfister Fine Jewelry Inc. As one of the best jewelry stores in Cleveland, they set the standard in selection. For fashion jewelry or special occasion jewelry, this store has vintage inspired looks as well as the most modern designer creations. Their selection of bridal jewelry will leave you spoiled for choice. They have wedding bands and engagement rings of every metal and gemstone combination possible so you will surely find something that you and your partner will love. For over 80 years, Robert & Gabriel have been providing the highest quality jewelry in Ohio to send a message of love to loved ones. 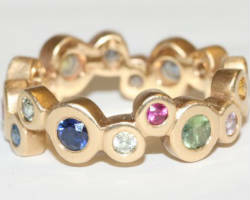 Their unique collection is a mixture of designer jewels of classic and contemporary designs. When locals want to find a gift for a special occasion, they stop at this store first. The consultants and jewelry experts will not only help you find the best piece but they will let you know about the quality of it as well. 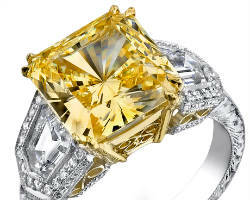 IMG Jewelers only brings the highest quality jewels into their stores. 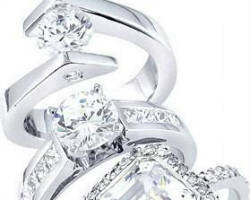 They have been providing couples with stunning engagement rings in Cleveland, OH since 1949. 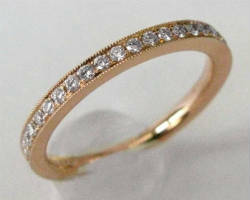 Since then, their popularity in the community has grown along with their reputation for being a trustworthy jeweler. The experts in the store give each customer their undivided attention while helping them to find the right piece for their occasion. If you know what you want and what budget you have then they can show you the best options for you or simply guide you while you browse. When you can see the artisans, the workshop and the final product, you can truly see the quality of the jewelry and the vision that went into making it. The custom jewelry designs offered in Antrobus Designs are one-of-a-kind and handcrafted with the finest materials. If you do not find the right piece for you in the store then they can make your jewelry vision come to life under your guidance. Choosing something unique to make your occasion that much more special. There are few jewelry stores that specialize in gifts for men and for women. Young’s Jewelry believes that both can find enjoyment in the special pieces that they offer. 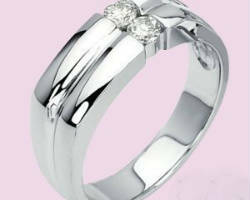 They have a wide selection of bracelets, necklaces, earrings, brooches, watches, men’s accessories and wedding bands. This store is not only great for finding a gift, but also for making your proposal extra special with a stunning diamond ring. 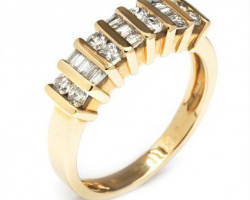 In addition to their services, they offer custom jewelry design, repairs and appraisals.